News and Case Studies - Traditional Oak & Timber Co. 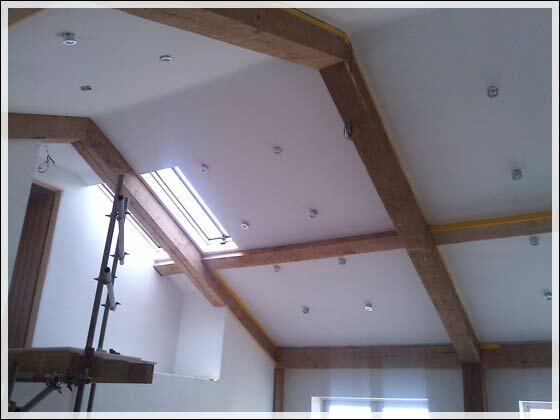 These ceiling oak beams are actually oak casings around steel RSJs. The customer wanted to the room ceiling to look traditional but still fresh. So the decision was made to go with air dried oak beams to keep the colour fairly light but still have a traditional rustic feel. New stock in of reclaimed oak beams, air dried oak beams, oak flooring, oak fireplace beams, and green oak beams. This repair was carried out as some of the section joints had rotted away. This repair was carried out due to the structural timbers rotting.